Swamibapa and Stray Lions successfully beat bad weather to claim vital victories over Sikh Union Nairobi and Ruaraka Sports Club respectively on Sunday in Nairobi. The two sides were the only winners in the NPCA Super League as the other match that was played between Obuya Academy and Kongonis was washed out in the second inning after heavy showers. 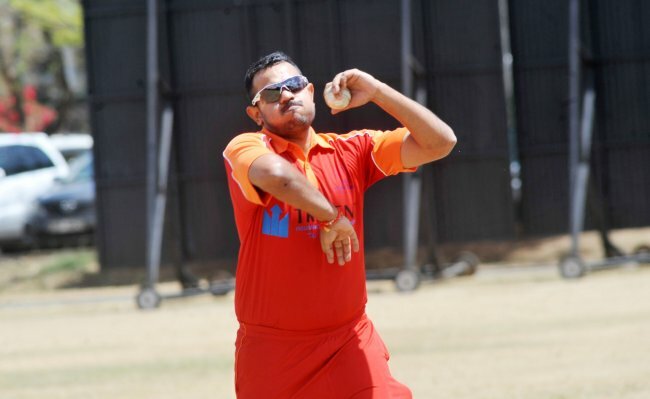 The other two matches between Kanbis and Nairobi Gymkhana and Cutchi Leva versus Sir Ali failed to bowl off after the rains that hit Nairobi on Saturday evening made the wickets at Nairobi Gymkhana and Samaj School unplayable. At Nairobi Jafferys, hosts Swamibapa had to overcome two rain stoppages before beating Sikh Union by 125 runs. At Ruaraka Sports Club, defending champions Stray Lions escaped the rain by a whisker to topple Kanbis from the top of the table. Just moments after winning the match by eight wickets, the rains came down heavily at Ruaraka to bring relief on Stray Lions fans and players. The match had to be stopped twice before Lameck Onyango secured a win for Swamibapa with some clinical bowling show. The match was first stopped in the first inning with Swamibapa on 147 for 6. It was once again stopped in the second inning with Swamibapa having reduced their visitors to 33 for 6 thanks to Onyango’s four wickets. And when the match resumed, Onyango held a brilliant catch to lay a platform for Swamibapa’s huge win. Chasing 232 to win, Sikh Union Nairobi were in danger early in the chase when they were reduced to 2 for 3 in 2.1 overs. Onyango barely gave them any breathing space as he went on to reduce them to 33 for 6 with two more wickets with the other two coming from James Ngoche and Jadavji Bhimji. Even with six wickets down, Sandip Adole was able to get his half century before being dismissed by Saumil Patel after Onyango sprinted from the boundary to complete a diving catch on the 45 yards. Adole had faced 49 balls to score 55 before falling with the board on 79. Tarandeep Singh added on at the end to get his side into triple digits before Jadavji got the last wicket in the 24th over. Earlier Alex Obanda (63) and Maurice Ouma (72) had scored half centuries to lead their side to a comfortable score. Patel was the other impressive scorer with 24. With clouds forming over Ruaraka Sports Club, the home team asked Stray Lions to field, a decision that the visitors would have taken had they called correctly. "It's good the toss went our way. With the current weather we wanted to bowl and try to dismiss our opponents quickly. We are happy it went our way and we have managed to end the match quicker than expected," Stray Lions captain Hiren Varaiya said after the match. Varaiya might have failed with the toss but when he took the ball he made all the difference between securing the top spot and seeing the match washed out by claiming six wickets to bowl out the hosts for 58 runs. In reply Stray Lions wrapped up the match in just 45 balls. Ruaraka batsmen were no match for red hot Varaiya who conceded only 21 runs in 45 balls that he delivered. Opener Nikhil Date and spinner Shem Obado shared the other four wickets with each claiming two wickets. The hosts didn't look to challenge the visitors as only their top three batsmen were able to score more than 10 with the rest facing less than 12 balls in the middle. With the skies changing, Stray Lions didn't want to take chances with the low score and opted to open with Collins Obuya and Manoj Sai instead of regular Abraham Vadada. The two had a flying start putting on 25 for the first wicket before Obuya was caught on eight. Manoj hit a four and a six before he fell on 19 with 50 runs on board. Anup Faudher scored 31 from 18 balls to secure Stray Lions’ 11th straight win in 13 matches and a top spot. At Nairobi Gymkhana, Kanbis saw an unplayable surface due to rains dim their chances of another stay at the top. With the wash out, Kanbis and the home team shared six points each thus leaving Stray Lions on top with eight points. At Sir Ali Muslim Club, hosts Obuya Academy saw their match against Kongonis washed out with Kongonis needing 110 runs with five wickets in hand in their pursuit for 240 runs. Swamibapa (231 for 9) beat Sikh Union Nairobi (106 all out) by 125 runs. Ruaraka (58 all out) lost to Stray Lions (60 for 2) by eight wickets. Nairobi Gymkhana v Kanbis (Washed out) Cutchi Leva v Sir Ali (Washed out).